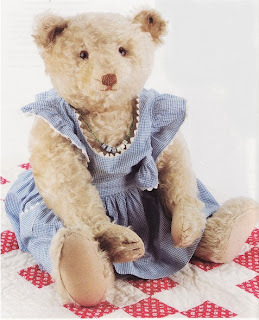 Your 'hobby collection' of bears for Edwina's Friends is adorabe Elanor ... if only I had a few spare pounds! I'm sure they'll be snapped up! Thank you Paula I must say like-wise on your bears! I'm raring to get on with lots of ideas for some Xmas bears now, but I've got to sit on them until I've finished the massive list of orders I've got!!! Not that I'm complaining!